You can talk till you’re blue in the face but it’s not that easy to convince people a lot of what we see in the news is just baloney. That’s what makes photojournalists so invaluable. They don’t just humanize the news but often show the truth so easily camouflaged in the fluster of language–especially if the writer has been schooled in the French philosophical method of writing, or the Washington Post method of journalism (more akin to fiction when it comes to Israel), or if they regularly read the Jerusalem Post (best used for wrapping garbage). Take this photograph for instance. In one fell swoop, it exposes at least a dozen Zionist justifications for ethnic cleansing in Gaza. It’s a photo worth a thousand lies. 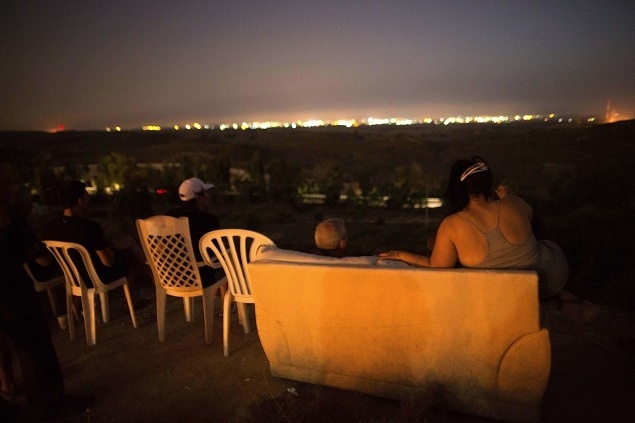 The caption identifies these as Israeli men from Sderot, Israel, a town one mile from the Gaza border. 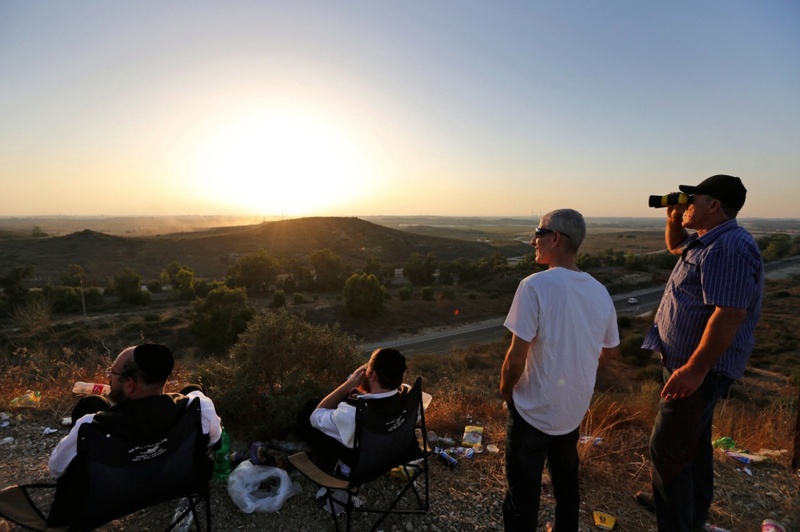 We’re told they’re settling down on a hill overlooking Gaza to watch the Israeli military bombard Gaza with bombs & observe “rockets fired by Palestinian militants from inside Gaza towards Israel.” Oh what a tangled web we weave when we practice to deceive & there’s somebody with a camera nearby. Today a photo circulated on Facebook titled “Sderot cinema” which showed another group of Israelis in Sderot sitting in lawn chairs watching bombs fall on Gaza & said they were clapping & celebrating every time they heard a blast go off. One hoped the photo had been misidentified but it claimed to be confirmed by Al Jazeera. It was hard to see young Israelis so jaded, racist, & sociopathic from Zionism that they could view ethnic cleansing as a spectator sport. In nearly every account after one of Israel’s murderous sieges against Gaza, media reports on the damage done by Hamas rockets in Sderot. It’s like the model city for indicting Hamas rockets. Without actually photographically documenting much damage, we’re told the town has been a continuous target of rockets from Gaza: residents have been killed & wounded; there’s been millions of dollars in property damage; daily life has been disrupted; thousands of residents sustain severe psychological trauma. 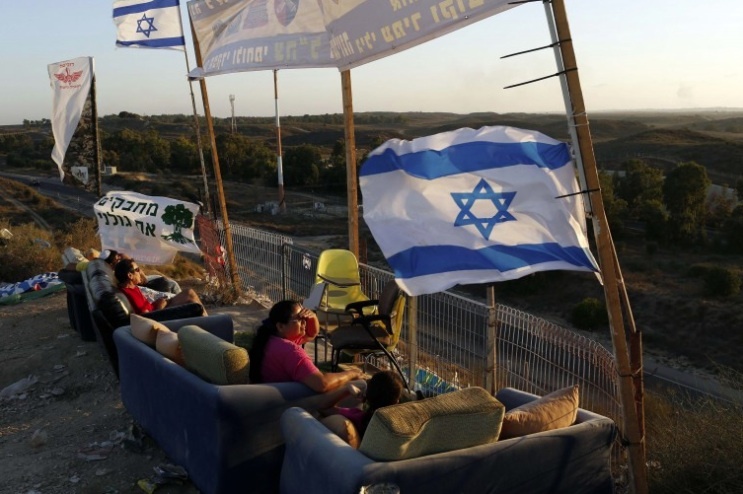 So take a look at these Sderot guys in lawn chairs with their chips & candy & soda laughing it up watching ethnic cleansing like they were watching a soccer game. If they’re so damn traumatized by rockets why aren’t they in a bomb shelter? Zionism isn’t just an affront to journalistic integrity. It’s a malignant ideology that corrupts everything it touches, especially those who adhere to it. 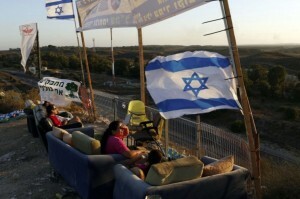 When under the drunken influence of Zionist racism, ethnic cleansing becomes a spectator sport there is no possible reformation or redemption for the ideology. It must be defeated & replaced with human solidarity. That is one of the great historic missions of our era.